When making natural handmade soap, you can make all types of soaps to fit your desired niche. One of the possibilities is that of including an exfoliant in your soap to help lift away any dead skin or caked on dirt that needs a little extra scrubbing to get clean. One such exfoliant is Sodium Bentonite Powder which can be found at most health-food stores. This exfoliant will not only remove dirt and dead skin but also help to lift away the toxins in your skin. If you don't have access to this clay, you can also start using products you probably have sitting around in your kitchen right now. 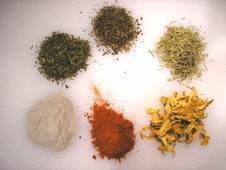 You can use poppy seeds, blueberry seeds, ground almond meal, ground walnut husk meal or even ground oatmeal. Below you will find a more complete list which you can experiment with. If you are a soap maker, you have at some point come across the controversy of soaps verses detergents. Many see soap as a natural product whereas detergents are synthetic creations coming from a lab. In reality, both soaps and detergents are synthetic products that take naturally occurring chemicals and synthesize them into a new product. 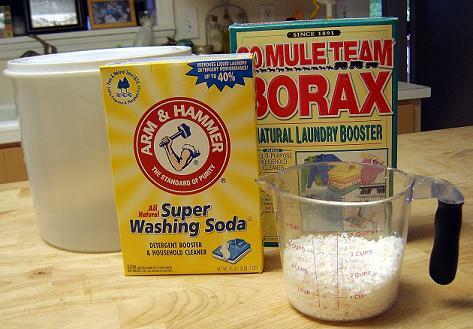 The big difference for soapers is that soap is easy to make at home while detergent is far too complex. Soap and detergent, while both good at cleaning, have different properties when placed in different environments. The biggest difference is that when soap is placed in hard water or an acidic solution, it forms a scum that is difficult to get out of clothes (if using for washing). Detergent does not suffer from this problem. The other major difference is that detergent works as efficiently in cold water as in warm. It is really these two reasons that detergent has taken over the laundry soap business. Soap: You really can use any bar of soap you like for this. I tend to like to use a simple soap that is made of 1/3 olive oil, 1/3 palm oil and 1/3 coconut oil that has been made with very little superfat discount. You will need to use about 3-4 oz of soap for this recipe. Castile soap is just another name for an olive oil based soap. The major feature of these soaps are the moisturizing qualities attributed to the olive oil. When you make this recipe, be sure to use a stick-blender, otherwise it will take a very long time for the soap to reach trace. I've added some palm oil and coconut oil to harden the bar a little bit.